There are many reasons to hold an estate sale, but the end goal is always the same: to consolidate property by selling it to interested buyers. 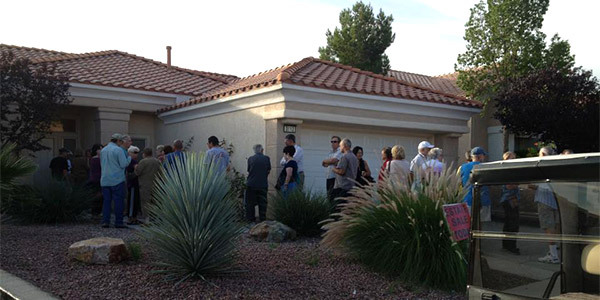 The issue with estate sales in Las Vegas, NV is that they can be complicated to assess, organize and execute. This is where A Complete Estate Liquidation steps in, to provide superior service and unparalleled results! We tackle the process of asset liquidation from beginning to end: from inventory and appraisal, to hosting the sale and liquidating the remaining inventory afterwards. We go above and beyond, to make sure our customers are given top-notch treatment throughout the entire process. We’ve been in the industry for more than 15 years! We’re bonded and licensed in Clark County, including Las Vegas, North Las Vegas and Henderson. We’re a Licensed Merchandise Broker in the State of Nevada. We’re a proud member of the Better Business Bureau with an A-plus rating.